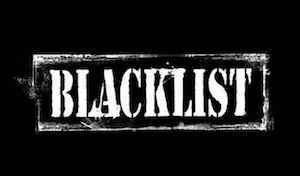 Blacklisted & Rogue Poker Sites - Do Not Play Here! Blacklisted poker rooms are the bane of an online card player’s hobby. Imagine playing for hours in a poker tournament or a cash game and having the fun and excitement of winning several big pots. Then imagine how that adrenaline rush turns into angst and anger when you find out you’ll never see those winnings, whether through hidden terms and conditions or a rogue site’s player funds being frozen. Most online poker rooms handle their business well, but some poker rooms are declared rogue or blacklisted altogether. Why Are Poker Rooms Are Blacklisted? Does the poker room have a history of not paying? Does the poker room have a history of delayed payments? Does the poker room have a history of rogue terms and conditions? Does the poker room have a history of cheating scandals? If the answer is yes to any one of those four questions – you should look for another poker site. Read the guide to below to learn about all the dirty tricks rogue poker rooms use. Non-payment of poker winnings is the most common way poker rooms get blacklisted. If you win and don’t get paid, you never won in the first place. In the stories below, most of the blacklisted poker sites end up stiffing their players in the end by refusing to pay players their winnings. A site that refuses payment usually cites some broken rule to disallow poker payments. This can involve breaking the terms of a deposit bonus, charges of collusion (dumping hands to other players), or the ever-vague “suspicious activity”. We recommend players read a poker site’s “Terms and Conditions” page before they fund their player account. If the terms are harsh, either follow them to the letter or find a more reasonable online cardroom. A second way to slow pay a player is to cite the aforementioned suspicious activity and a need to verify your identity. While every online gambling site should have a solid identity verification process, if this kind of nonsense goes on for weeks or months, you are being cheated. Gaming sites which accept instant payments but take months to pay winnings are rogue sites which should be blacklisted. Some blacklisted poker rooms fit under the category of bumbling, blundering, and negligent acts. In many cases, bad management leads to possible financial problems, which causes the payment problems described above. Others use stupid poker site tricks, but don’t cheat players of their money. These rogue poker sites might have deceptive bonus promotions with hidden terms, so their promotional offers amount to unethical advertising. Some have bogus license claims, in which they aren’t really licensed at all. In rare cases, the software allows cheating by players with admin abilities. As you’ll see below in the cases of Absolute Poker and Ultimate Bet, two cheating scandals rocked the online poker world in 2007. It should be noted that the time when poker rooms were cheating customers seems to be a decade ago, in the Wild West days of online cardrooms. That doesn’t mean poker cheating doesn’t still happen. Players on poker forums make accusations all the time, but those don’t pan out very often. Most of the time, it’s a player who played badly and lost money, but players should remember that poker cheating can happen. To guard about these tactics, it’s best to research online and mobile poker rooms. Below are the best methods you can use to research poker rooms for fairness, safety, and quick payments. Licensing – To assure a site is not blacklisted, it helps to check on a poker room’s licensing. Legitimate poker rooms apply for regulatory oversight with government agencies somewhere in the world. Some gaming authorities have strict policies and robust enforcement, assuring that common sense consumer protections are in place. Other gaming authorities are laxer, or even hand-waive the oversight process. Find legit poker rooms which are regulated by respected gaming authorities. The UK Gambling Commission, Gibraltar Gaming Authority, and Malta Gaming Authority are among the most common and respected licensing agencies. The Isle of Man, Alderney in the Channel Islands, and the Kahnawake Gaming Commission in Canada are respected. The government of Antigua & Barbuda licenses sites less common than it used to be, due to troubles with the United States, but Caribbean island nations like Curacao license gaming sites. Costa Rica and Panama do so, as well. Be careful with sites’ claims of licensing. Years ago, the Affactive Group and Revenue Jet affiliate program claimed to be licensed by Curacao. When Casinomeister called Curacao’s gaming regulator, they said they had never even heard of those casino sites. Third-Party Auditors – To bolster regulatory oversight, many online gambling sites also submit to frequent third-party auditing of their games and software. The eCOGRA industry-led watchdog group audits online gaming sites and publishes results, while Technical Systems Testing (TST) and iGaming Labs are hired by sites to verify their fairness and safety. While these are not a replacement for a gaming commission, they are a good way to double-check a site’s reputation. Poker Forums – Another way to learn about the reputation of a poker site is to go to a poker forum like TwoPlusTwo (2+2). For many years, TwoPlusTwo has been a place where card players gather to discuss all aspects of the online poker industry. Complaints about rogue poker sites abound, so 2+2 is a good place to learn the good and bad about a poker room. Keep in mind that all businesses have disgruntled customers, so don’t focus on one bad review or horror story — focus on the consensus opinion about a poker site. Carbon Poker launched in 2005 but was bought by Poker.com in 2007 and joined the Merge Poker Network. By 2010, Carbon Poker was the flagship of the Merge Network. Merge added gaming sites like Sportsbook.com and PlayersOnly from the (at the time) larger Cake Network, which increased the size of the poker network significantly. Lock Poker is a cautionary tale for online poker players. Lock Poker had a large card player community but has had issues going back as far as 2010. Casinomeister labeled Lock Poker as a rogue site, due to slow payment of player’s winnings. By 2012, those reports were widespread, which caused a significant drop-off in player signups. In 2012, Lock Poker purchased the notorious Cake Poker and renamed it the Revolution Gaming Network. The buyout of Cake Poker seemed to be a harbinger of even worse behavior to come. In the spring of 2013, Lock Poker’s online reputation got even worse when it was reported the company organized an all-expense-paid trip for sponsored players to a castle in Portugal. Since the site was slow-paying most or all players by that point, customers on the TwoPlusTwo poker forum were outraged. Several sponsored players ended their sponsorships, while other sponsored card players asked for patience. These spokesmen said management had assured them players would be paid. That proved to be untrue, because payment issues got even worse. April 2014 is the last time anyone reported payments. By April 2015, all online poker forums declared Lock Poker to be closed. Customers received no payment whatsoever. If Lock Poker is a cautionary tale, then Absolute Poker is a horror story. Absolute Poker was a Top 10 online poker site when the UIGEA was passed by the US Congress in 2006. Even a huge cheating scandal in 2007 did not kill Absolute Poker. Site co-founder Scott Tom was discovered to be playing under the username “God Mode” and using software that allowed him to see other players’ cards. Even the cheating scandal wasn’t the worst behavior. On April 15, 2011, US Attorney for the Southern District of New York (SDNY) Preet Bharara unsealed indictments against the leading US poker sites and its executives. Poker players immediately called the scandal “Black Friday”, as it changed US poker forever. The operators were accused of violating the 2006 UIGEA law. The poker domains were seized, while 13 executives were indicted. Those named were PokerStars, Full Tilt Poker, Ultimate Bet, Absolute Poker, and a few others. What made the case worse for Absolute Poker was the funds did not exist to pay out players. Co-founder Brent Beckley eventually was sentenced to several years in prison in 2012, while Scott Tom escaped authorities and only appeared in court in December 2016, when he pleaded to misdemeanor charges and served 7 days in prison. Absolute Poker customers had to wait from 3 to 6 years to be paid their winnings. Ultimate Bet’s story is quite similar to Absolute Poker’s story. Ultimate Bet was launched in 2001, but by the time the UIGEA was passed in 2006, both Ultimate Bet and Absolute Poker were members of the Cereus Poker Network. Ultimate Bet had a similar poker cheating scandal (“SuperUser”), though in this case a software engineer named Russ Hamilton was determined to be the cheater. The cheating took place from 2004 to 2008, though UB.com originally claimed it occurred over a year’s time. When the Black Friday scandal happened, Ultimate Bet had its domain seized. Once again, player funds were not segregated from operating capital, so UB.com did not have the funds to pay back players. Customers were paid back from 2014 to 2017, but not because of anything Ultimate Bet’s executives did. They were paid money left over from the PokerStars settlement, which explains why it took them so long to receive their funds. Card Spike is an example of a victim of the Unlawful Internet Gambling Enforcement Act (UIGEA), a US federal ban on online poker rooms, casino sites, and sportsbooks that was passed in 2006. The UIGEA’s ban on online poker and casinos was rescinded in 2011. By that time, many online cardrooms either closed or sold their business to other sites. Card Spike was one which closed, though it held on for two years before closure. Due to poor communication with players and slow payment, CardSpike was considered a rogue poker site by the time it closed. Card Spike eventually paid players, but in a final “screw you” to customers, those who were owed less than $50 had to pay a $40 transaction fee to receive their payment.